Just following Emily Spahn's lead! 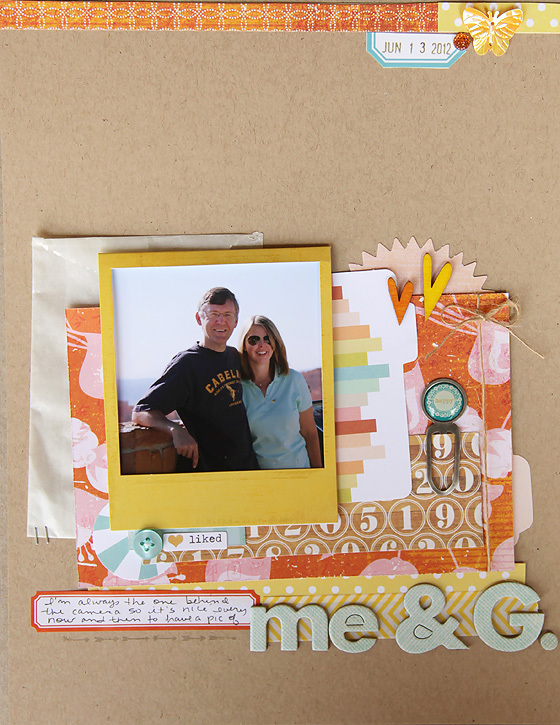 She's awesome and has such a fun scrapbooking style. 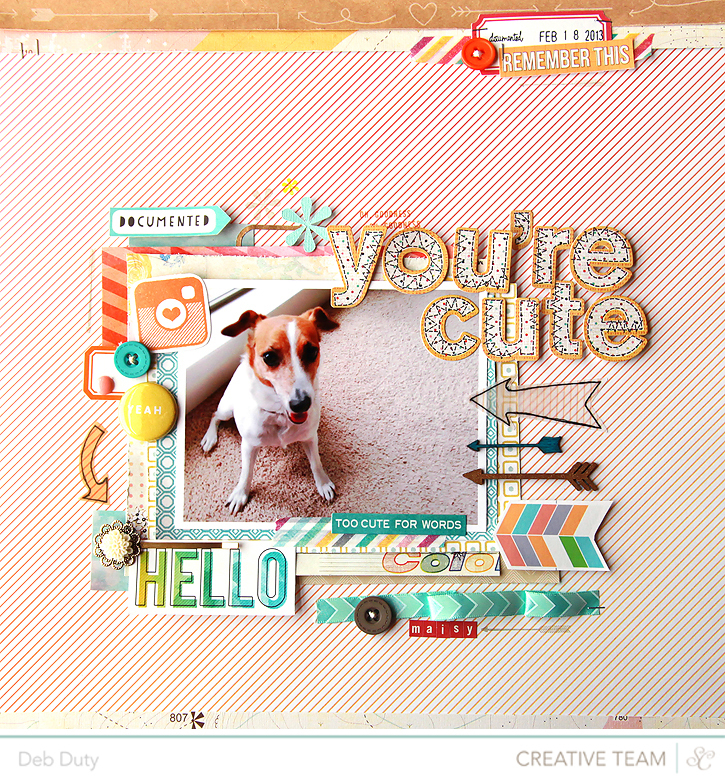 She challenged others to search on pinterest for their own layouts that had been pinned. In her words.. 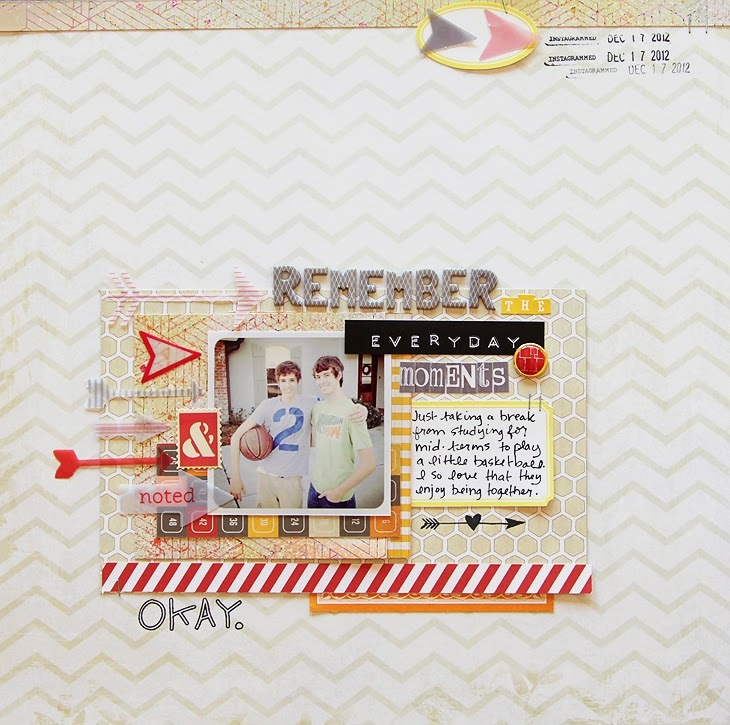 I posted ten of my favorite old layouts on my blog and I thought it might be something cool for people to do. I know we often get so wrapped up in our current projects that we sometimes forget to go back and look at the old stuff!! I can definitely use some extra inspiration because I haven't made a layout all summer long, but next week I'm planning on getting busy! 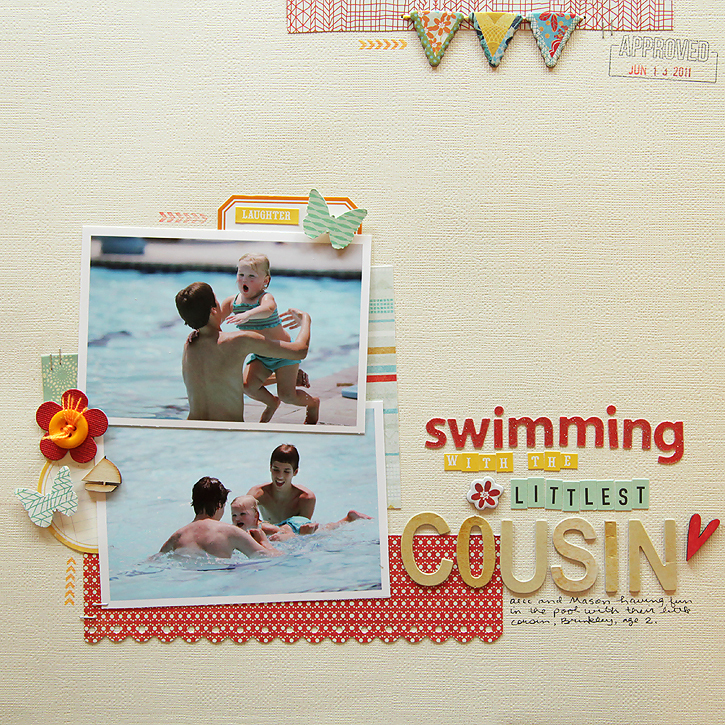 So I decided to search for my favorite layouts from the past, and I might just scraplift a few next week if I get stuck. I started making layouts again in early 2012 and I'm reposting my ten favorites since then here. 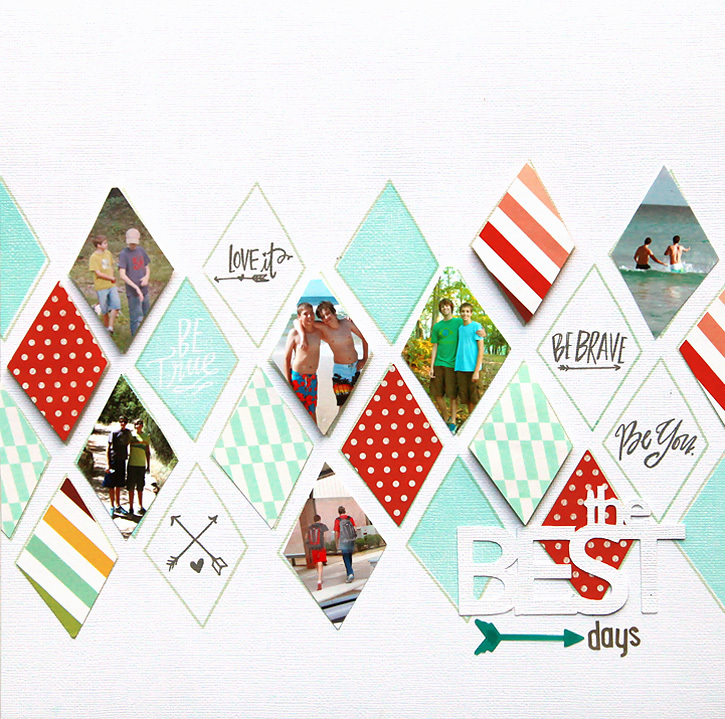 If you want to play along, link up your post in this thread at Studio Calico. Love them all! I think I have pinned most of your "oldies." Thanks for sharing! 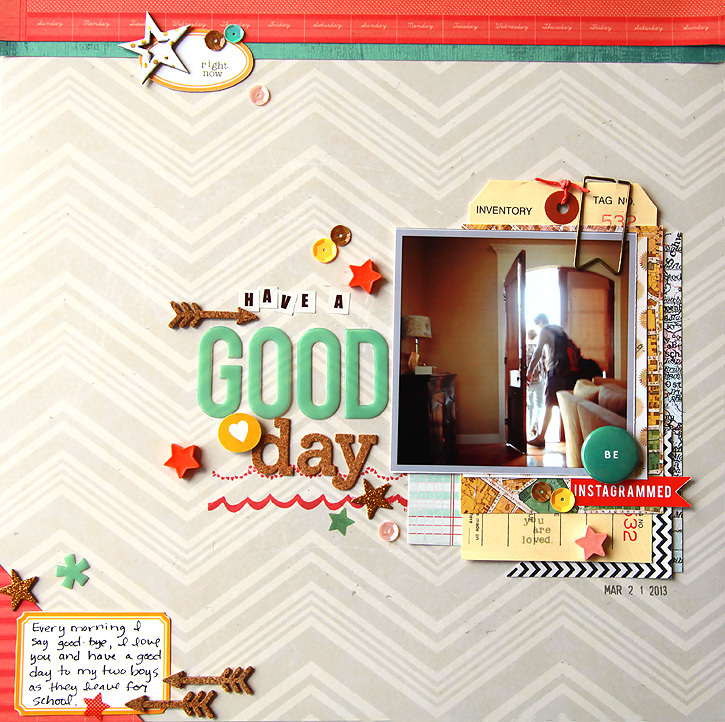 Gorgeous variety of layouts, Deb! I just love your style so much!!!! These are some of my favorites of yours, too!! :) :) Thanks for playing along! I love your style, too. Think I will pin them all. I can't ever get enough of your beautiful layouts!! I love your work so much. Can't wait to see your new ones soon!